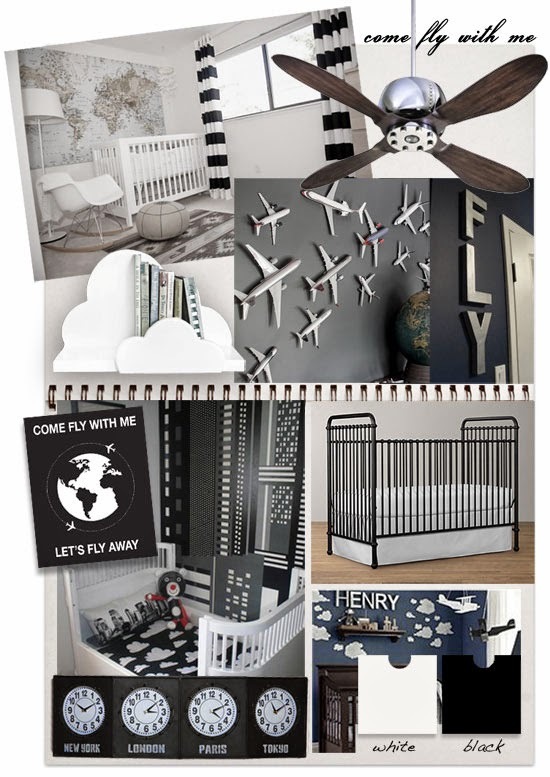 This cute aviation themed nursery in black and white is just the thing to inspire a future jet setter or pilot. Credits: Traveller nursery via The Nursery Book. Cloud wall shelf by Shop Little, Elica Ceiling Fan US$438. Aviation wall decor via pinterest. Vintage aviation nursery wall letters via Project Nursery.